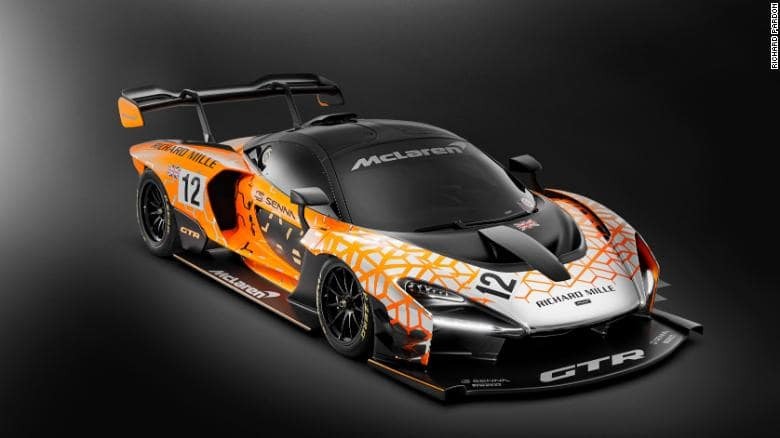 Only three months after debuting the McLaren Senna, McLaren introduced the Senna GTR at the Geneva Auto Show in March. 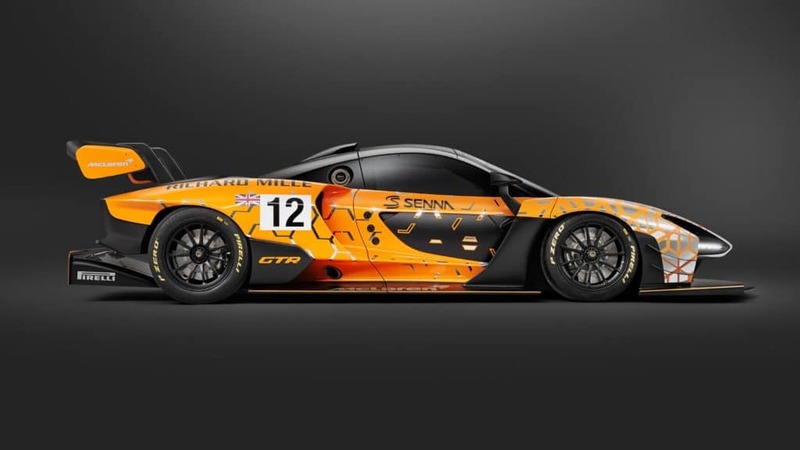 A track-only vehicle, the McLaren Senna GTR is the third of its kind in the McLaren lineup, following the 1995 F1 GTR and the 2015 P1 GTR. With both a large front splitter and rear diffuser, the car is capable of producing 814 hp at the minimum. Only 75 units will be produced and all are already spoken for. 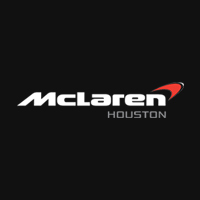 This is a racetrack-only McLaren Senna. “It’s not designed for a specific race class,” Ludmann explains. “With the P1, we also had the GTR derivative, which is mainly targeted at track days and our cup racing. 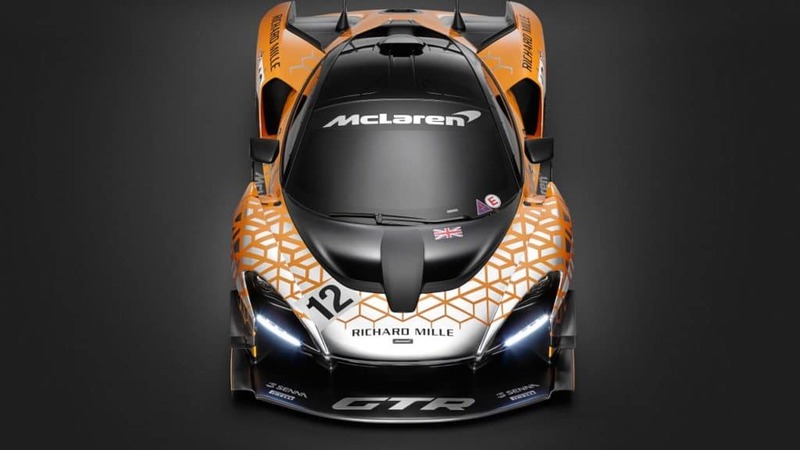 So all customers that have orders in [on the Senna] now have the option to also buy the GTR version.” McLaren plans to build 500 Sennas beginning the third quarter of this year, and just 75 Senna GTRs. Its bespoke twin-turbo V-8 gets a 24-hp+ boost. Like the “standard” roadgoing Senna, the GTR version uses McLaren’s bespoke 4.0-liter twin-turbo V-8, with a flat-plane crank and dry sump (no Honda, Renault, nor BMW badging on this engine). It’s rated “more than 825 PS,” or 813 horsepower, Ludmann says. The McLaren Senna is rated 789 hp and 590 lb-ft. Ludmann calls the GTR a concept, and so there are no torque figures for it yet. With extensive carbon fiber used on both, weight of the GTR won’t be much different than the Senna’s 2,641 pounds. But it’s really about the downforce. The rear wing is active, and moved a bit further back from the standard Senna’s rear wing, and there are two flaps in the front wing “which are actively controlled, to either have low drag or have high downforce,” which, by the way, is 800 kilograms, or 1,764 pounds. Not quite enough to race upside down, Ludmann says, but very close.